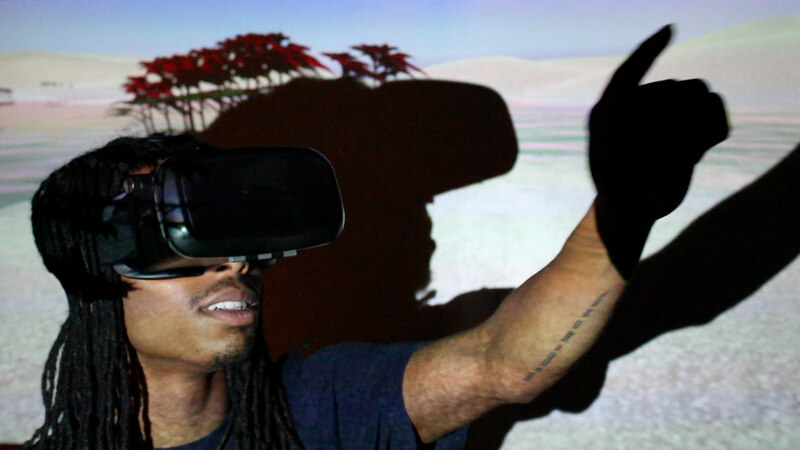 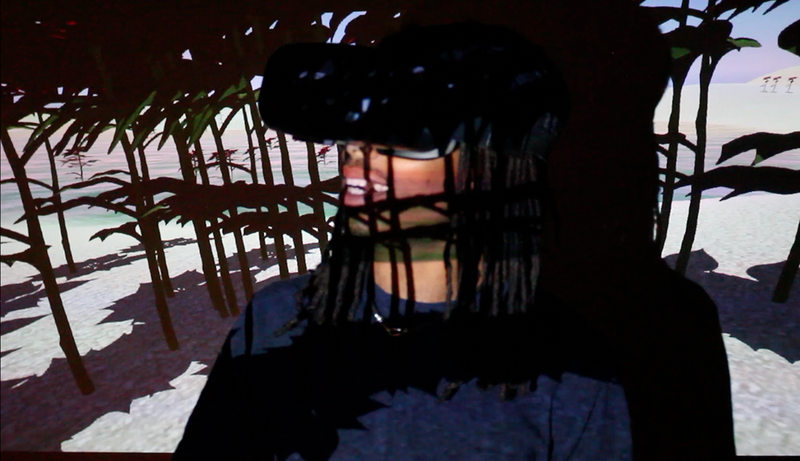 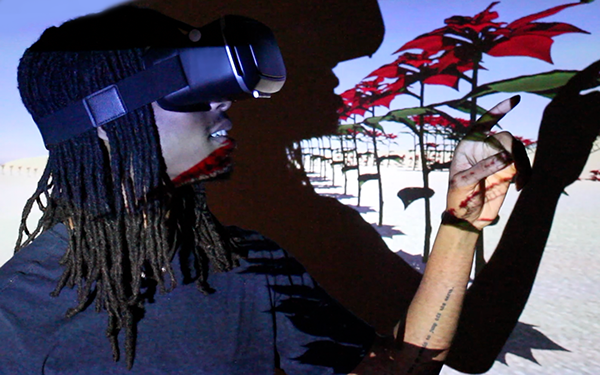 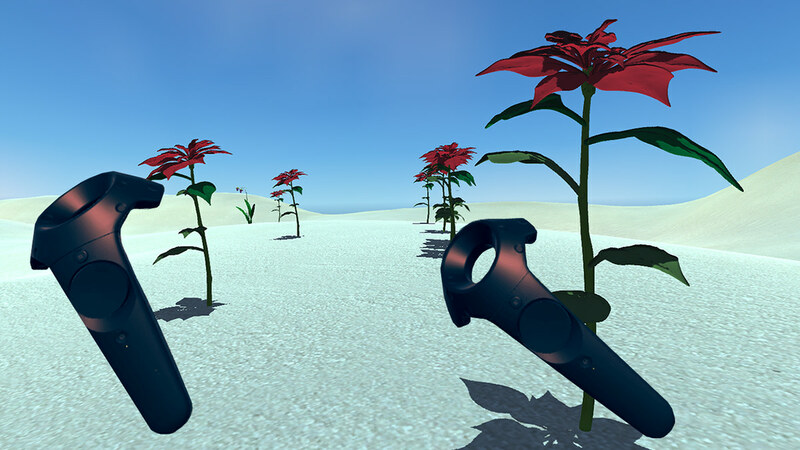 GrowGrowGrow is an interactive Virtual Reality experience, designed for the Oculus Rift and HTC Vive. 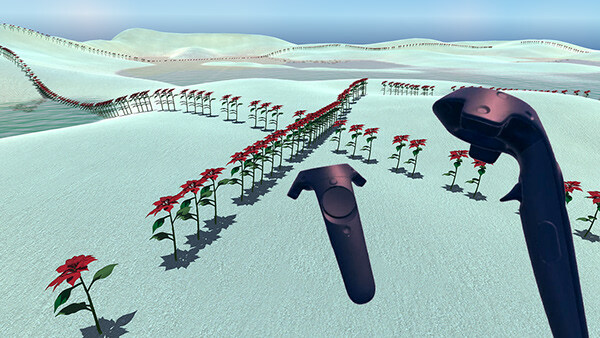 You are the first person player in GrowGrowGrow. 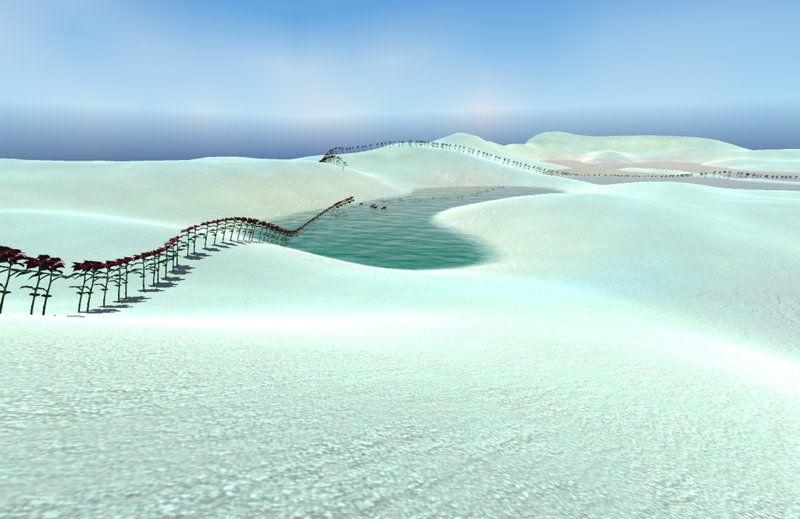 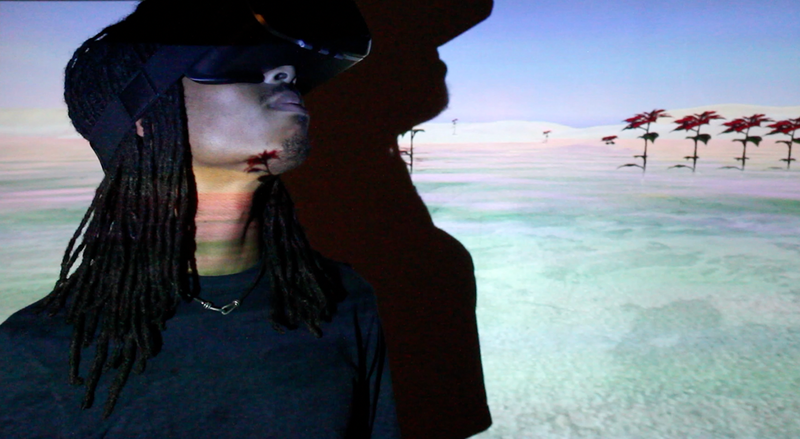 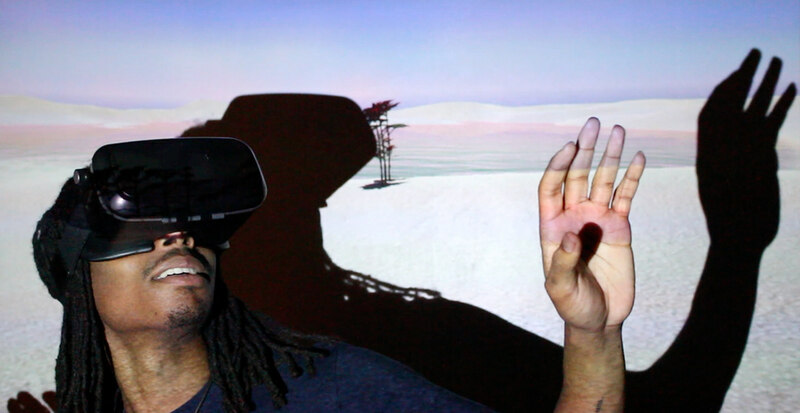 You are the creative life force within a surreal, sort of post-apocalyptic, sandbox. 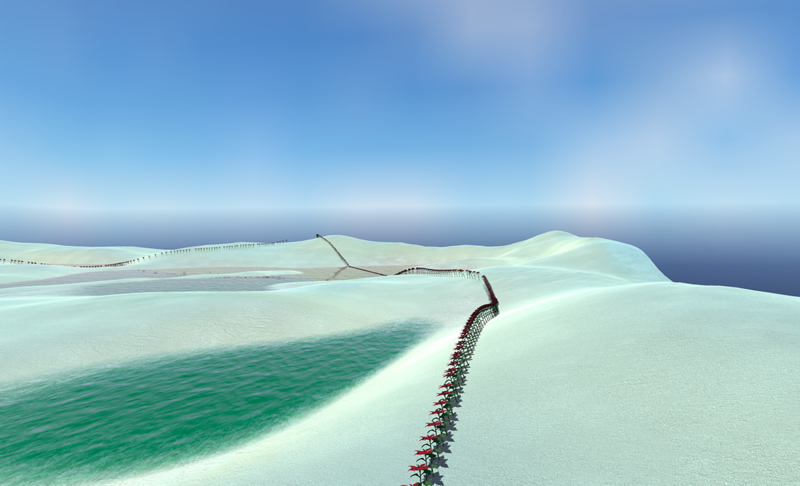 You are spawned into a totally barren landscape where you have been granted the ability to teleport and to create. 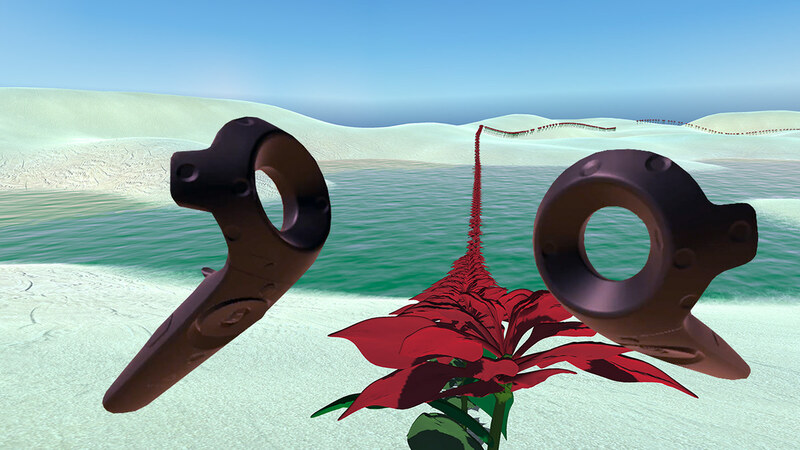 With teleport you can explore everywhere, with create you can grow… a red flower, chains of red flowers and construct anything you can imagine from this root component. 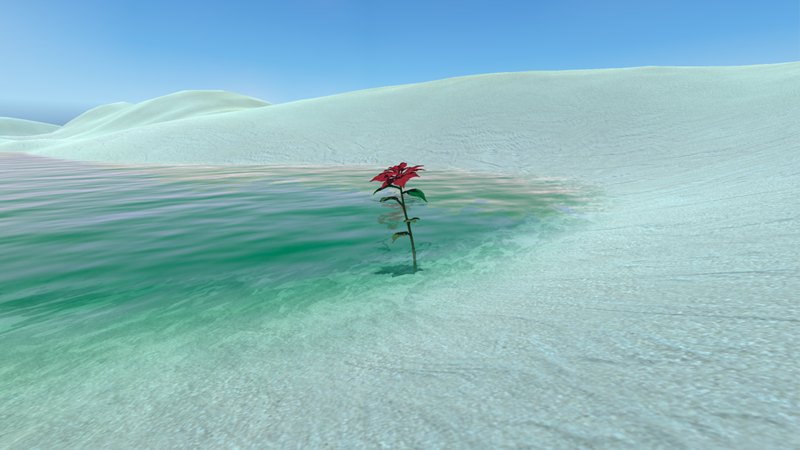 The more flowers you grow the more the world generates a dynamic life of its own. 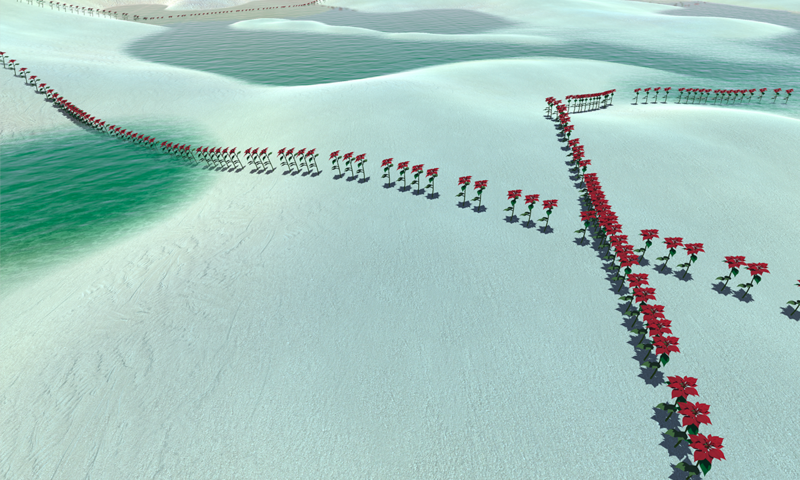 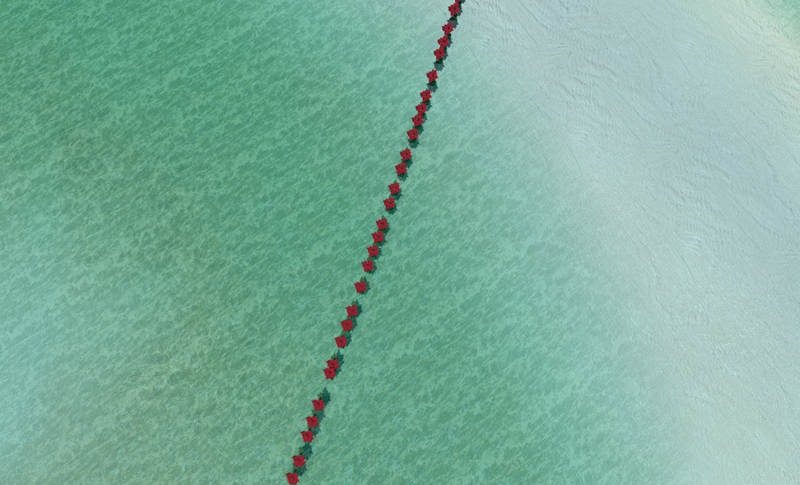 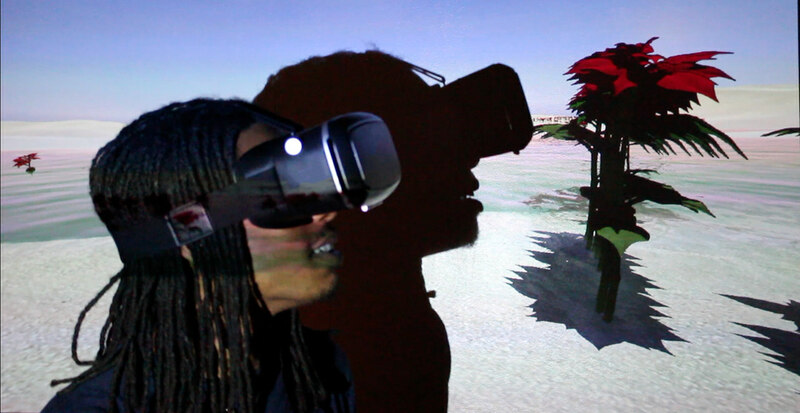 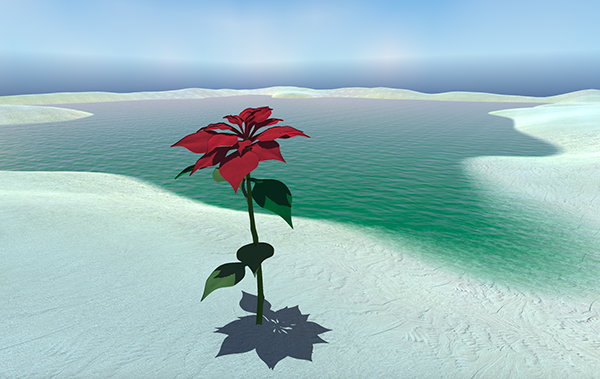 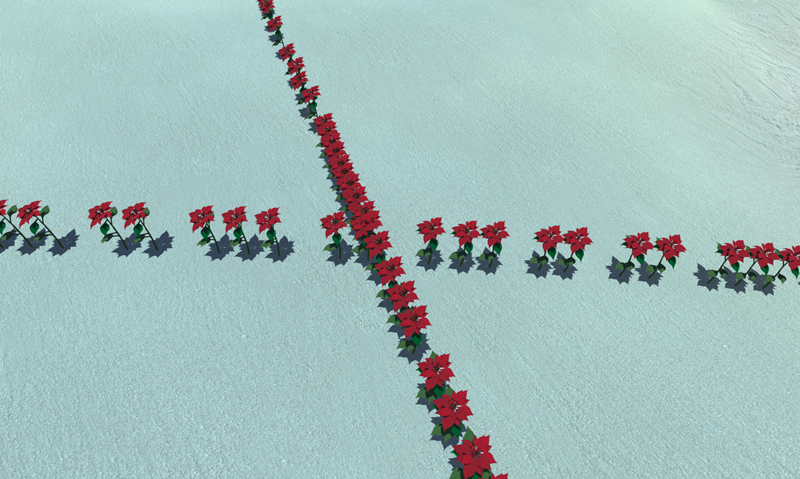 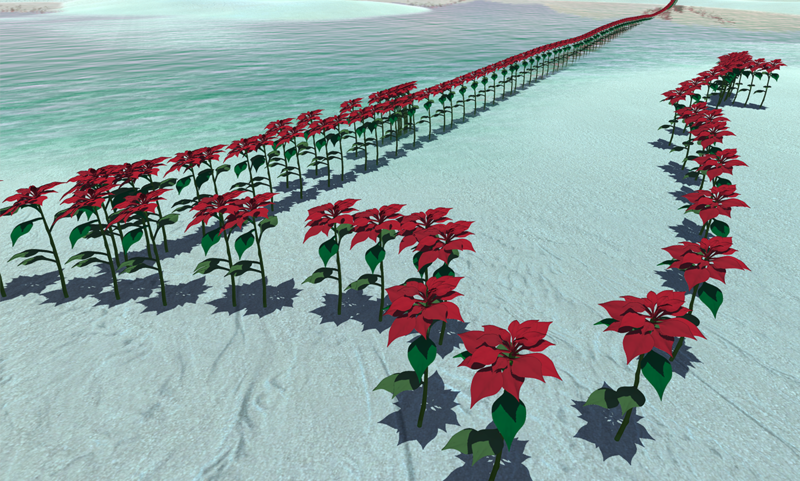 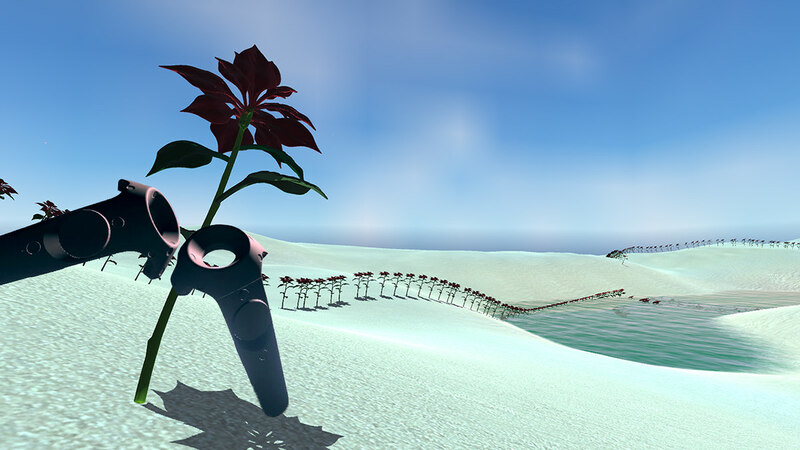 This virtual world has an uncanny quality due to it being mathematically perfect and regular, and filled with identical clones of red flowers modeled by a computer. 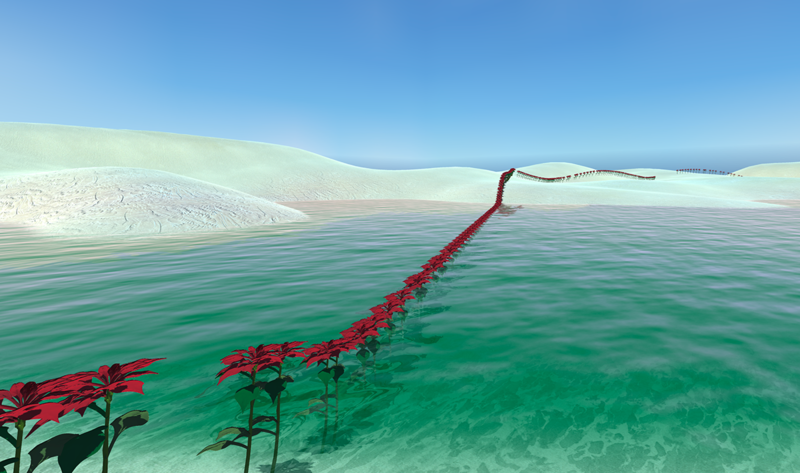 This contrasts to the organic qualities we associate with nature.